Monday, March 5th, marked the 9th week of the 2018 legislative session. The week consisted of committee hearings and reviewing Senate bills. 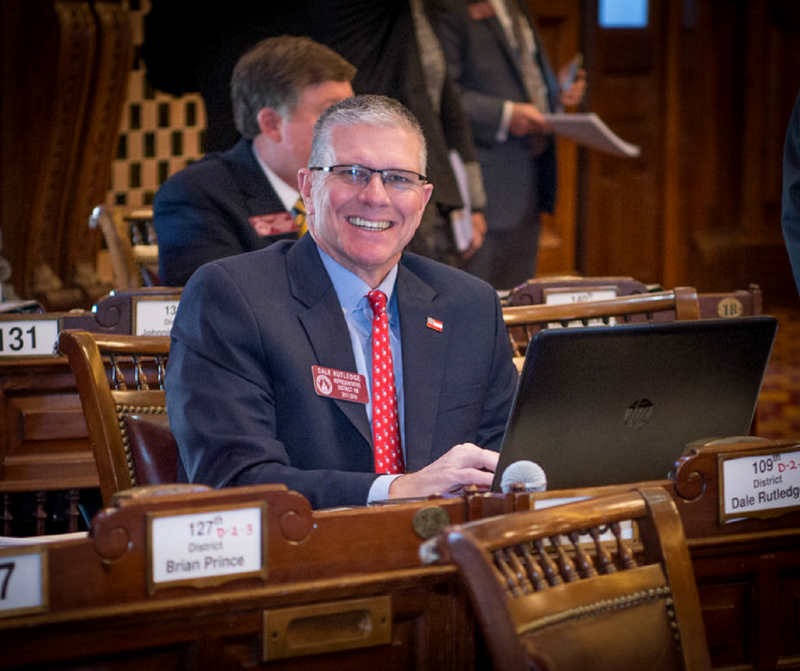 In this blog post, I’ll share some of the measures we were able to pass including the Fiscal Year 2019 budget. My colleagues and I are required to pass a balanced budget for each year. On March 9th, we passed House Bill 684—the Fiscal Year 2019 (FY 2019) budget. The FY 2019 budget is $26 billion which is an increase of $1.03 billion over the 2018 budget. Continue reading to learn how these funds are allocated. -Education: a mobile audiology clinic and a birth to five literacy & numeracy. -Rural health programs: 2 rural surgical fellowships at St. Joseph’s/Candler Hospital, a statewide residency recruitment fair for rural medical facilities, insurance premium assistance for physicians who practice in underserved counties with one or less physicians, 10 regional Emergency Medical Services (EMS) training positions to train EMS personnel in rural Georgia, and the Rural Health Systems Innovation Center. -$119.5 million for K-12 enrollment growth and training and experience for an additional 6,552 students and 1,869 teachers. -$361.7 million for the Teachers Retirement System (TRS) to support 117,957 retired and 218,193 active TRS members. -Funding for two Advanced Placement exams, one STEM exam and one non-STEM exam, for low-income students, as well as dollars for the new Chief Turnaround Officer program to help Georgia’s schools in most need of assistance. -$1.6 million for a student mental health awareness training program, including response and intervention training, for students in preschool through 12th grade. -$111 million for the University System of Georgia enrollment growth and increased square footage. -$5.5 million for the Technical College System of Georgia enrollment growth and increased square footage. -$27.1 million for the Dual Enrollment program. -$2.7 million for 1,177 additional HOPE and Zell Miller private scholarships. -$65.3 million for 27,832 more HOPE and Zell Miller public scholarships. -$16.9 million for a 4.3 percent provider rate increase for nursing homes. -$962,022 for increased background checks for long-term care facility owners and employees. -Funding for a program coordinator position and to develop capacity in the Department of Community Health and the Department of Public Health to provide behavioral health services to autistic children under the age of 21. -$568,057 towards the Marcus Autism Center to cover the cost of treating autistic children with the greatest needs. -$2 million to address Georgia’s maternal mortality rates. -Funds for Mental Health initiatives- funding for four new respite homes, 13 new Georgia APEX Program grants to expand mental health services to students in 100 more schools, telemedicine equipment and services, and high-fidelity wraparound services training. Additionally, funding is allocated to expand the Georgia Crisis Access Line’s operating hours and create a mobile application to provide mental health crisis services. Lastly, $2.2 million is allocated for Department of Human Services care coordinator positions to improve mental health outcomes for foster care children. – $15.1 million for growth in out-of-home care and $15.2 million in additional funding to increase foster care per diem rates for relative and child placement agency foster care providers. 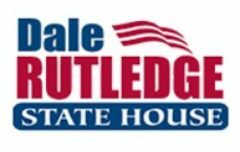 -Funding for Georgia’s accountability courts and for 9 additional assistant district attorney positions and 9 assistant public defenders to support juvenile courts. -Funding for transportation infrastructure construction, maintenance, and improvements. In addition to passing the budget, the House was able to pass Senate Bill 2—“The FAST Act – Fairness, Accountability, Simplification and Transparency – Empowering Our Small Businesses to Succeed.” This bill would enhance accountability, expedite local government permitting processes, and reduce regulatory burdens on small businesses by removing certain regulations that make it more difficult to conduct business in Georgia. It would allow the Department of Community Affairs to establish “Ready for Partnership Georgia,” which is a voluntary best-practices certification program for each county and municipality in Georgia. Under SB 2, a 13-member group would develop best practices and standards for certifying counties and municipalities as “Ready for Partnership Georgia” and would establish a process to review, renew, and revoke the certifications. The certification would be based on metrics including county or municipality licensing and permitting fees, the time required by the local government to process license and permit applications, and the consolidation of forms & documents to avoid repetitive or duplicative information requests. Another measure we successfully passed was House Resolution 1225. This resolution urges Congress to pass the Building Rail Access for Customers and the Economy (BRACE) Act. This act would make permanent the federal Railroad Track Maintenance Tax Credit, also known as the 45G tax credit, which would be used for rail improvement and enhancements. The 45G tax credit allowed short line and regional rail lines to claim 50 cents for every dollar spent, up to $3,500, per mile on track improvements. According to findings of the RDC, the BRACE Act would greatly boost the economic growth of rural Georgia. A permanent 45G tax credit would incentivize continued rail maintenance and improvements. House Resolution 1162 would create the House Study Committee on the Establishment of a State Accreditation Process to explore whether a state accreditation process for Georgia’s public schools and school systems should be formed. This committee would have 5 members that would explore the resources and structure needed for a state accreditation entity. This committee would also look at ways to align accreditation review with charter renewal for charter systems and contract renewal for strategic waivers school systems, explore the possibility of creating a state process to review system charters and contracts, study potential consequences of losing state accreditation, and review the possibility of creating a school board review commission. The study committee chairperson will report any findings and recommendations by Dec. 1 2018 and the committee will adjourn. I’m excited to share the Gov. Nathan Deal signed House Bill 159 into law on March 5th. HB 159 will update Georgia’s adoption laws by making the adoption process more streamlined and modern. I applaud State Rep Bert Reeves for refining this bill for nearly 2 and a half years in order to bring Georgia’s adoption process up to date and in line with the rest of the country. We are currently on day 35 of the 40 day session. As this year’s session comes to a close, I encourage you to reach out to me with any questions about the bills my colleagues and I are working on. Thank you for reading!